Would you like feedback: Yes please! I had to remove the kitchen Island because I completely forgot about the stairs while furnishing the first floor (actually I prolly should have place the stairs before placing the windows) so with the furnishing and the placement of the windows I had to remove the island so the kitchen/dining area was not cramped. This is the 2nd floor which ended up being more of a loft style bedroom. Japanese Family House is very nice! @popettypop2012 Very nice Asian theme of the home! The exterior design of the home is very nice! Very nice roofing! The outdoors areas are so very nice! Very nice backyard area! The design of the pool looks great! The island in the middle with the trees, lantern lights and lotus flowers looks so very nice! Very nice lattice covered hot tub nook! 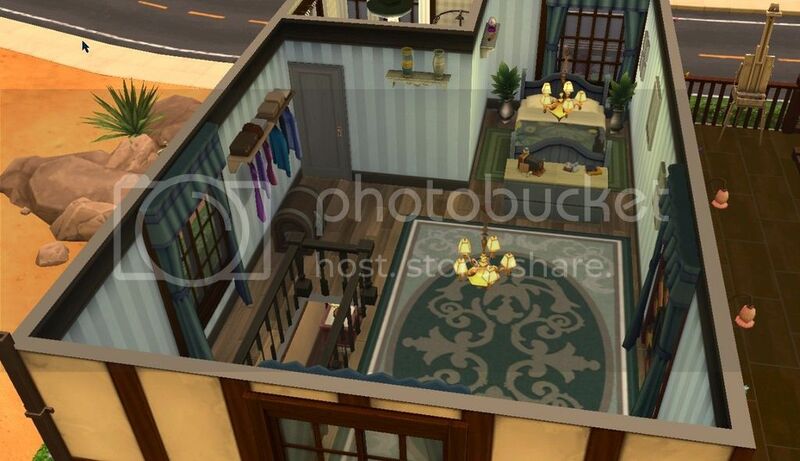 Sims will enjoy relaxing in the tub. Child sims will have fun playing on the monkey bars. Very nice furnishing of the interior of the home! The brown and green colour scheme creates a restful and calming feel and look. The dining room is very nice. The wall of candles adds a nice look in the room and the teapots display shelf and wall decor add nice touches in the room. The bar stool and coffee machine counter in the kitchen is very creatively designed! It looks great! Nice living room fireplace sofa seat sitting nook for sims to enjoy resting there in front of the fire, watching tv. The large plants look nice either sides of the fireplace. Very nice study desk nook for sims to enjoy sitting at the table using the computer. The planrs and candles are nice touches on the side wall stand. The green coloured blinds look nice how they are placed in the rooms and suit well the type of home. The eclipse light looks nice on the bedhead wall. The bamboo plants either sides add to the restful look of the room. The shoes racks are a nice home touch. The bedhead shelving with the plant, fruit pictures and books looks great! @rosemow Thank you for your comment You are so sweet, as always. Your home is very nice! @VioletRed The exterior texture gives a very nice look to the home. Very nice upper balcony for sims to enjoy painting on the easel whilst looking at the views or have fun playing chess at the chess table in the sunshine. The flowers decor items are nice touches on the exterior wall.. Very nice outdoors areas! The natural pond looks very great!The plants look nice on the edges of the water. The terrain paint looks nice how you have used it in the build. The flowers look very pretty on the edges of the building! The floral greenery looks nice on the exterior walls. 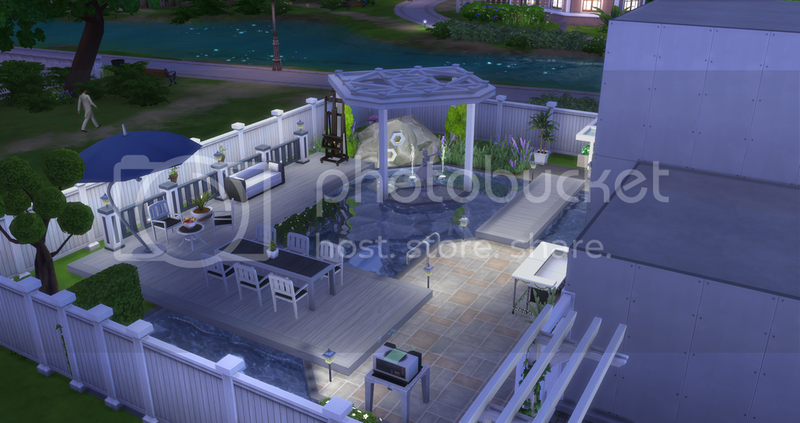 Very nice ground floor patio for sims to enjoy sitting resting and chatting on the seat benches in the outdoors air. Very nice furnishing of the interior of the home! The brown colour scheme looks very nice. Very nice dining nook! The pictures look very effective how they are placed on the dining area walls! The wall cutlery, hanging wall pans and hanging pots are nice cooking touches in the kitchen. Very nice living room! The items look very great how you have placed them on the shelving above and beside the front door! They look very great! The shoes rack there is a nice home touch. Very nice sofa seats sitting nook area. It looks nice the way you have created a window sitting nook by placing the lamps either sides of the sofa. The other sofas look nice placed facing each other for sims to enjoy sitting resting there having a chat face to face. The teaset and plant are a nice touch on the coffee table. Sims will enjoy the sunlight coming in through the windows whilst sitting there. Very nice furnishing of the loft bedroom! The wall pattern looks nice. The clothes shelf is a nice home touch on the wall. The plants are nice touches of nature either sides of the bed, and the patterned floor rug adds a nice look to the bedroom. Thank you @rosemow! It was turning out to be a place I could imagine and old couple sharing. I wanted it to be decorated and look lived in but didn't want to fill every available space with clutter stuff (not in this case anyway lol). But next challenge I will definitely place coordinate the placement of the stairs ALONG with the windows cuz it makes a huge impact on how I design the rooms once it get to interior decorating. The interior of your home looks very nice! @Amiejaidenalbie_1988 Very nice living room! The white and pink/purple colour scheme gives a great look to the room. The colours in the wall picture look very nice with the white walls. The tv alcove is very great! It looks very nice how you have used the cabinets to create the alcove. The candles, plant and books are nice touches on the tv alcove ledge, and on the coffee table. Sims will enjoy relaxing there on the sofa watching tv. The pink flowers are pretty in the room for sims to look at. Very nice open plan layout of the kitchen and dining room areas. The island stove counter is great! The candles , flowers, photo and cookbooks are a nice touch on the wall shelf. The wall cutlery, jar, fruit bowl , salt pepper shakers and teabags set are great kitchen touches in the room. 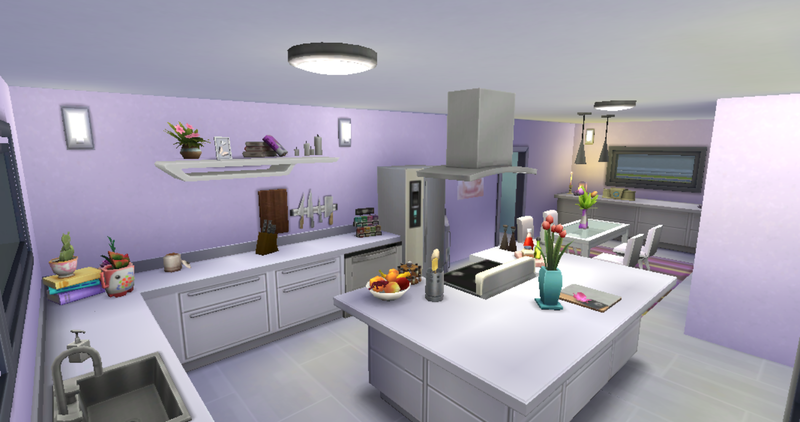 The flowers and plants on the counters and dining table are nice for sims to see when cooking and when dining at the table. They will enjoy listening to radio music whilst in the room areas. 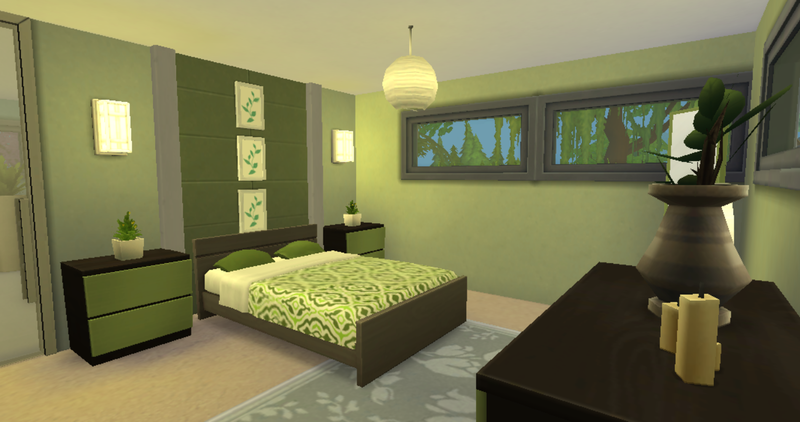 The green colour scheme of the bedroom looks very nice and is calming. The leafy wall pictures look great placed together in a vertical line on the bedhead wall. The plants on the bedside tables are nice touches of nature in the room. Also I noticed the red flowers bushes also sticking into the fountain trim but also into the fence on the right side. This was on both sides of the garden. So my advice here is slow down when placing items, zoom in and move them to a spot where they arent sticking into other items because it doesn't look natural it just makes it look a bit messy. I love your creative fence combining the apple blossom with the Starter hedge it looks so good and different. The mailbox is in a really strange spot to me though that maybe just a personal preference. I love the right side of the house with the spaced out passions kiss flowers, I probably would suggest to copy that on the left side where you put the Hedge of blue flowers as they look a bit to large to be there and when you have to move them away from the fence so they aren't sticking into it they then hang over the path quite a bit. Out the back wow I loveeeeeeeee your little retreat area, I love how you combined the zen planter and the bamboo for a new looking plant. I love the creative fountains but one thing I would change is the fountain trim as it had none. I would match the trim with the pool. Other than that I think you did a great job with the landscaping there is no bare areas and it has a theme that flows well. Ok firstly I love the patio with the fencing you used, love the decoration on the patios and the decoration on the walls on the left side of the house. But as you go around to the back and the right side they are very bare. When using two wall coverings like that on different floors make sure you use the exterior trim around the house to cover up the seam where they join. Also the front piece of roof looks a bit strange I can't quite put my finger on whats wrong with this look it could be the bareness on the front where you have used the slim line windows on the 2nd floor it leaves a lot of bare space. Maybe filling that bareness with exterior lights or something. Speaking of which the night view on part of the front of the house and the whole right side is very dark. I added the exterior trim, I shortened the roof overhang just on the top side (select roof then click on the arrow to shorten or lengthen the overhang, you can hold down the shift button while doing this just to change one side and not both). I also added more exterior lights which doubles as decoration. And as you used the Lei up house flowers on other parts of the exterior I continued with that to add decoration. The Das mesh works well with your theme but you can use any other decoration, the point is that it needed more. 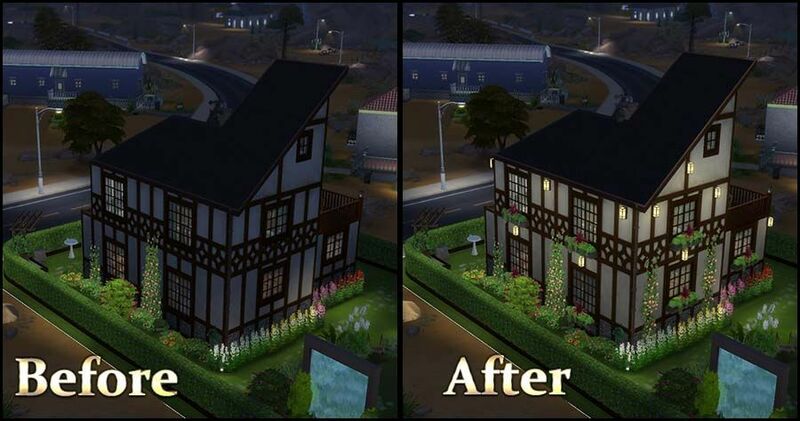 So always zoom out when your finished and look for bare areas, switch to night view and light up where looks dark. So a challenge for you for the next lot of practice challenges is go nuts with decoration, even if you go over the top I would love to see you just get creative and decorate a bit more. 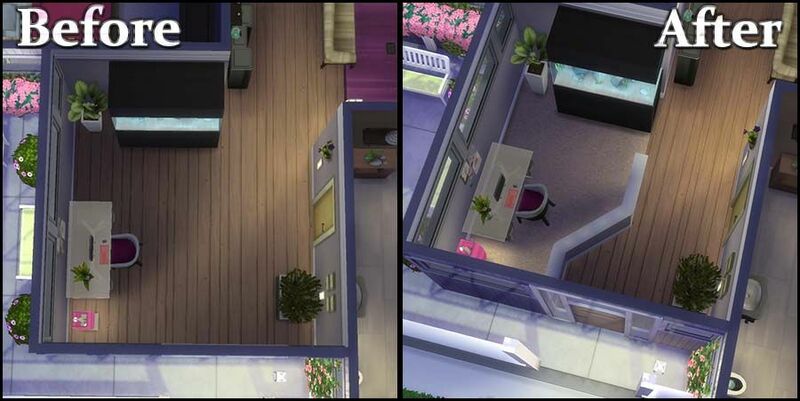 One of the main focuses for this challenge was to break up the rooms and I do notice with you in particular some times you rooms look overly spacious because you dont break them up. Use some half walls or something to break them up a bit more. Your entrance is overly spacious even putting a rug on the floor would of helped fill it a bit. I would suggest for you to use some more floor coverings to make designs to break up the use of to much of the one floor covering. I found in the living room a slablet just sitting on the floor, I think a coffee table would look nice here with some clutter on it. I love where you put the staircase for upstairs its out of the way but still looks great. The bathroom was just as big as the bedroom which made me giggle but the bathroom I felt could of been a bit smaller to fill some of the empty space in there. Dont forget to use some ceiling lights as some areas in the rooms were a bit dark especially half of the bedroom. For upstairs the kitchen its huge which was a bit strange in a house with only 1 bedroom to have such a massive kitchen so I would of tried to split this top room up a bit. In saying that though I love the fencing on the floor to create the line and the great counter island. 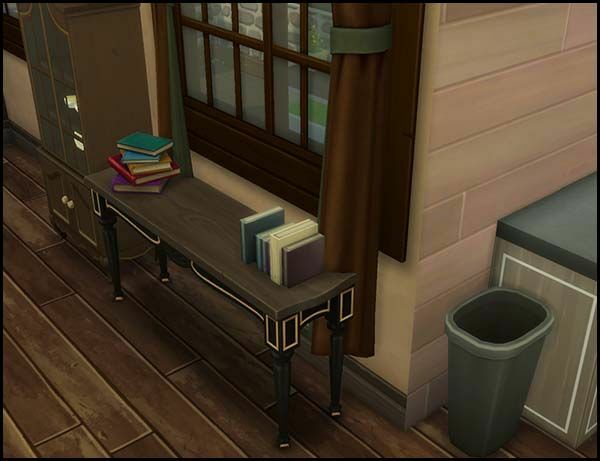 I think for you as I have seen a ton of challenge entries the things you do need to work on is breaking up space your rooms are normally overly large and it does create bareness. 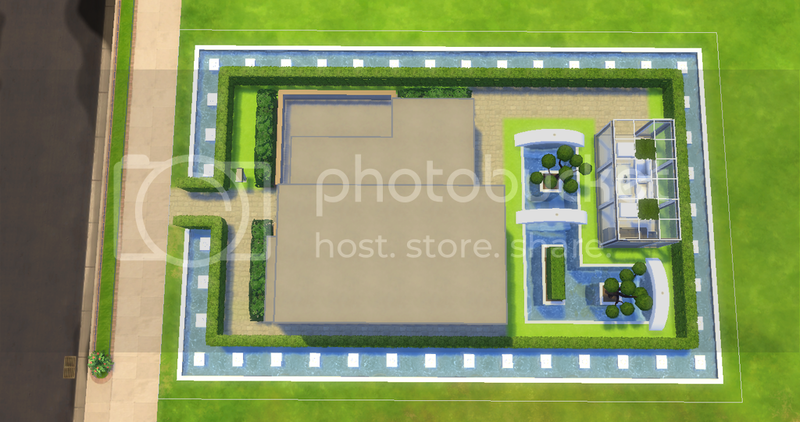 Also work with different shapes other than square making rooms different shapes, experiment. I do love the overall theme of this house and colors used. 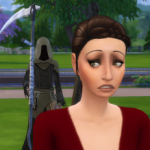 I think you just need to work on placement and decoration. Sorry to be a bit slow to the uptake on this one but I've just completed Challenge 2 Part 1 if that's OK! Your build looks very nice! Very nice outdoors areas! The layout of the outdoors pool patio looks very great! The back garden area is very nice! The island in the pool with the ballerina stature on it and the lattice roofing over the top of it looks very nice! The water fountains look very pretty in the pool. The flowers and plants look nice on the edge of the pool. It looks nice the way the dining table is on the bridge over the water. Sims will enjoy dining at the table in the outdoors air. 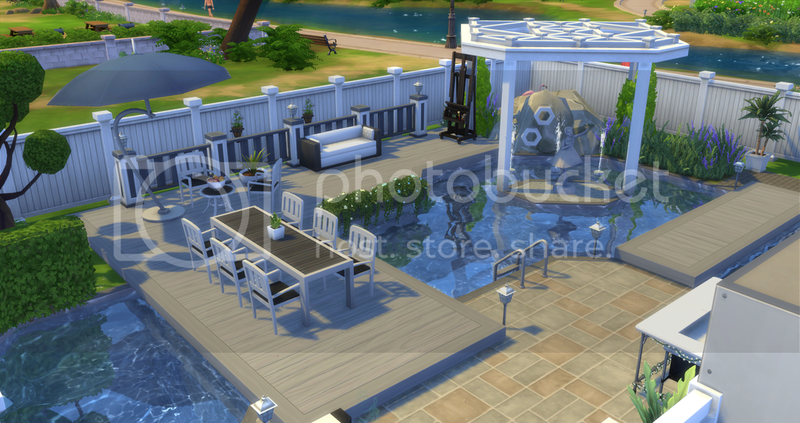 Nice outdoors living sofa and armchairs sitting area for sims to enjoy resting there chatting in the sunshine. The umbrella looks great there. The fruit bowl is a nice touch on the coffee table. 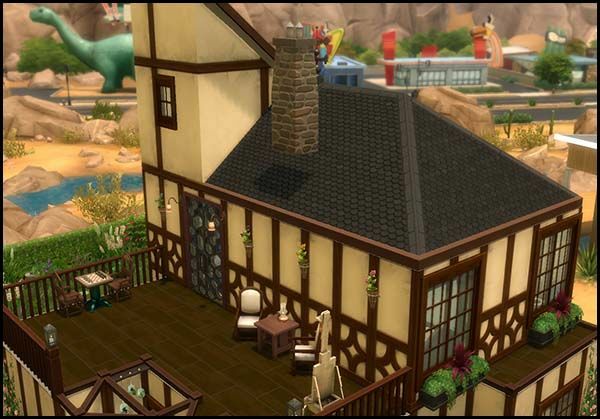 Nice art nook for sims to enjoy painting on the easel outdoors. The flower wall decor is a nice touch on the side wall. 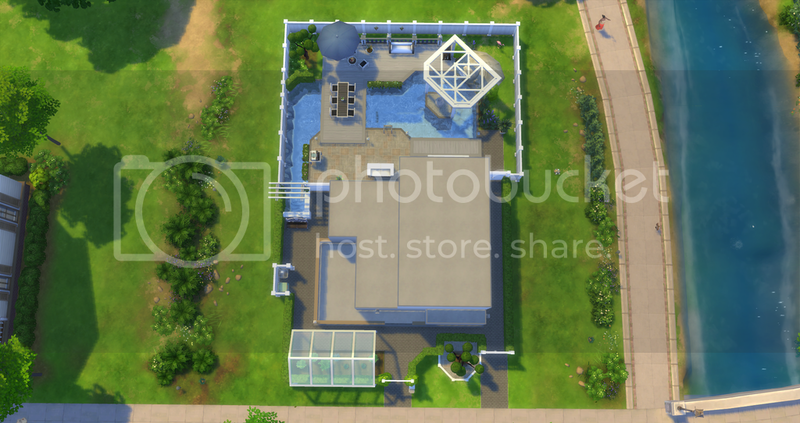 Sims will enjoy sitting on the edge of the pool having a drink from the bar. The bonsai tree and plants look nice in the corner nook. 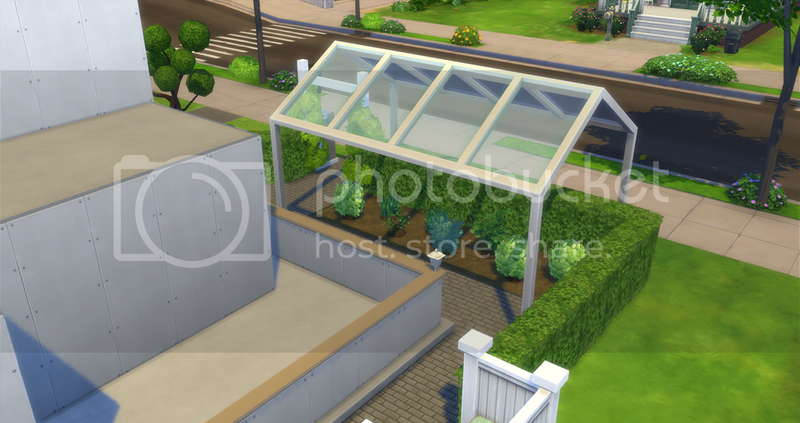 The glass roof herb garden looks very nice! It looks great how the hedging borders it off. The build is looking very nice! This is a very amazing challenge and all of you do amazing Jobs! I hope that I can join you soon! 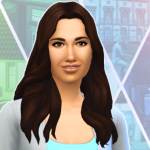 Hello @lisi_ja It will be very nice if you would like to do the practice challenge builds, or you may also like to take part in the other building and room challenges too. This is a link to a list of building challenges. @Pwhiskers welcome to the practice challenges and you are not slow at all there is no time limit or frame to do any of the challenges. It would be great if you could include the gallery links on the form as its easier for me to find to do the feedback, if your not sure how to do this we can definitely help. It looks amazing from the pics I cant wait to take a closer look, I will hopefully be up to date in the next day or two with everyones feedback. @Cbear13 Thank you for the tip! Would you like feedback: Yes please! Public is fine. Your build looks very nice! @Xenami The water around the edges of the lot and slabs/light in the water look very nice! It looks especially effective at night time! The hedging looks very nice lining the inner edges of the water. Very nice back patio area! The pool looks great! 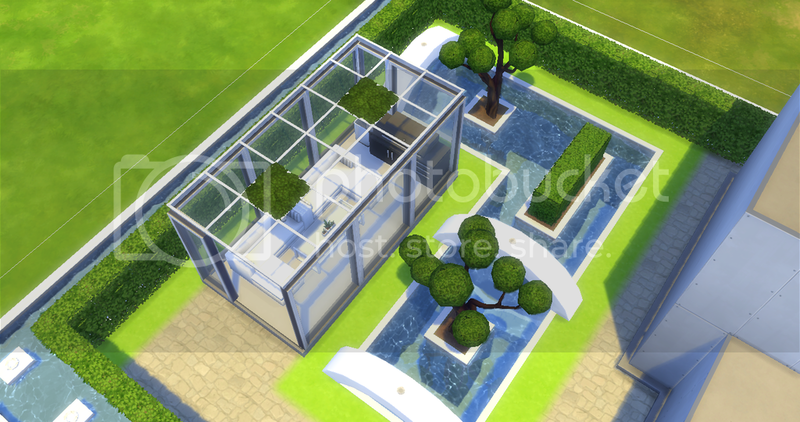 The islands with the trees and hedging on it look great in the pool. The way you have use the curved white roofing to section off pool areas looks great. Very nice outdoors living and dining glasshouse! 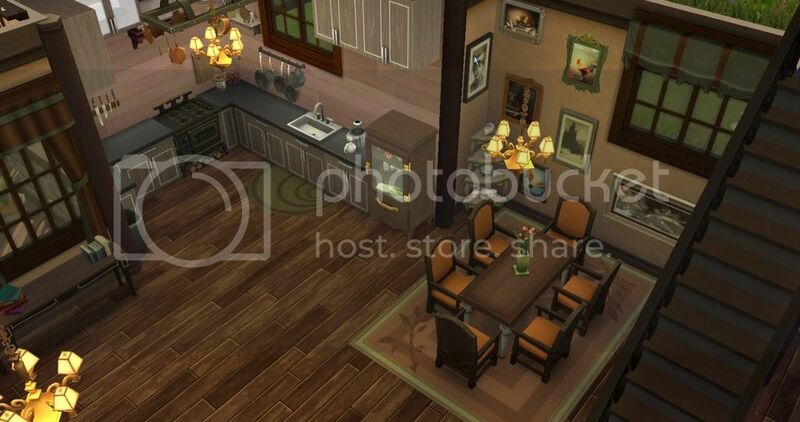 Sims will enjoy cooking on the BBQ and eating their meals on the sofas. The way you have placed the sofas together looks very nice. The build is looking great! Ok ladies and gents since I do the feedback in my spare time when I am not dealing with real life and after all the qc judging and organising gets done. 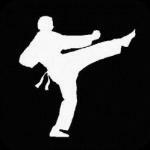 I have updated one of the posts on the first page to keep track of everyones progress and feedback. I would feel extremely bad if I missed anyones feedback so this is hopefully how I can keep everything tracked and also for you guys to find it easily amongst the thread. 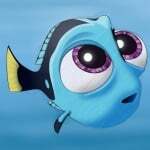 Please if I do miss your feedback let me know other than me being extremely forgetful with my horrible memory I do miss some posts on the forums. 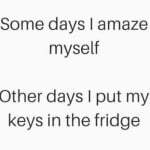 I will never purposely forget to do something or answer questions so please give me a nudge if it seems I have missed something. @Cbear13 don't worry, there is no rush at all with my feedback. Just do it whenever you get the chance. 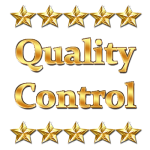 It's really nice of you doing this for all of us while running the QC comps. @popettypop2012 its pretty fun to do I learn all sorts of things off you guys aswell and after running and judging the comps for a while now I felt some people weren't learning how to fix the issues or moving forward but since we started these there has been such wonderful improvement. Ok I know you were worried about the roof and not sure if you liked it but it looks great in game and different which is awesome. 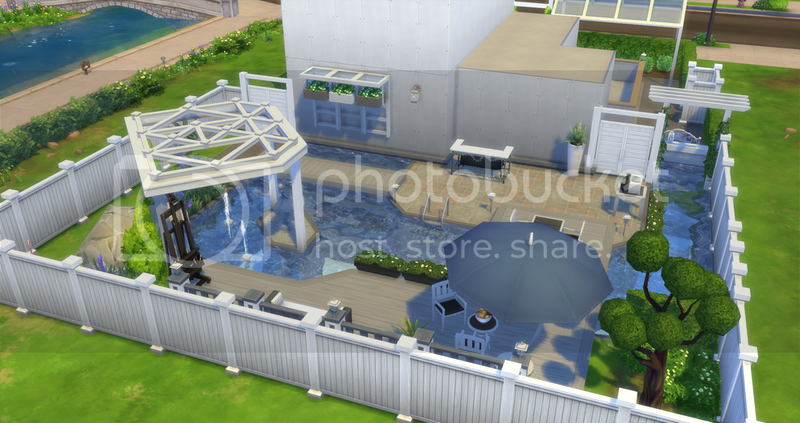 With the patio itself I love what you have put on there but there is a little bit to much of bare space, instead of placing all the tables and chairs up against walls/fences move some into the middle to fill space. I also added some pot plants for some added decoration. With the patio and the lattice roofing it looked a bit unfinished that there was no trim. You can see the bits of white at the bottom of the fencing of the patio and also under the edgers of the lattice, adding the exterior trim to these can make it flow better. I felt the door you used was a bit to modern for the style of the exterior and using one of the wooden ones in the style of the windows would of complimented it a bit better. When using planter boxes to decorate the front and not the side or back it makes them look unfinished or a bit bare so continue with them under your windows and same with using the lei up house flowers on the walls make sure you continue this decoration around the house. Also to combine these pics your night view of the exterior was very dark you only really had lights on the front near the door. The lights are an excellent way to add decoration so I added lights all around also. So its just touch ups needed mainly I love the different types of windows just remember to match the doors and decorate all the way around with your theme not just the front and patio areas. And lastly don't forget night view lights double up as decoration, so many people forget about night view. First thing that caught my eye was the pictures on the side of the staircase, I love this great decorating. The other thing I noticed in this corner was the other wall looked a bit to much, the pictures themselves dont all fit the theme and to many different colored frames. The window also looks a bit high and needed to be lowered just a little because its sitting over the wall covering frame at the top. So what I did was changed the colors of the frames to match and used I held down the ALT button while moving some of the pictures to a better spot on the wall than the spot that the game places them. 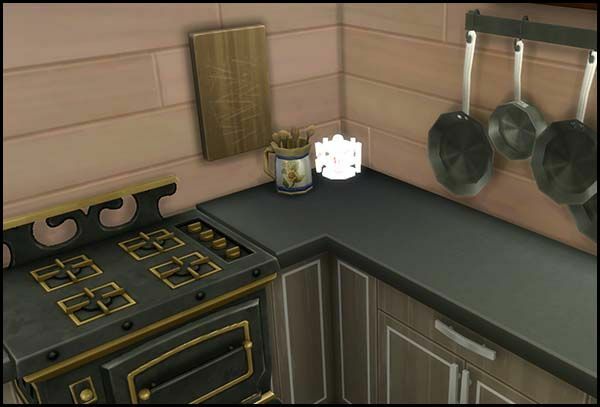 Now this is just a personal preference, I hate the ambient lights lol I think you can brighten up areas good enough with normal lights and this is the reason I hate them so much they make items go white like you can see in the pic of the spices in your kitchen. I love the decoration in the kitchen though and the decoration and style suits the exterior. I love the decoration about the door with the shelves. Be careful with curtains they always stick into things placed in front of them so make sure you use the ALT button to move the items away. You can see them sticking into the table below but also on the other side of the room they were all sticking into the couches placed in front of them. Now one thing we were concentrating on for this challenge was to break up the rooms yourselves and with some half walls being so open you have this huge bare space in the middle that needs filling and using some walls would of fixed this. I love the design with the mega wall hangings (I might have to steal that idea one day hehe). Oh and before I forget I love the use of debug items and the bills on the table were great but better pay them before you have no power for ever. There's no rush for my feedback either @Cbear13 just when you get time. I just really appreciate your tips and the way you give your feedback in a really positive way.